As the years of living in a home pass by, your tastes may change and styles may come and go. Keeping up with these changes can be costly and time-consuming. However, if you invest wisely in some classic elements of design, then you can be sure you’ll enjoy these for many years regardless of other features you may need or want to alter. One of the best classic design choices is stained shutters. These beautiful and sturdy window treatments from Southern Shutters & Blinds will complement any style change and outlast all of them. Looking for Stained Shutters, Spicewood? No matter the architectural style of your home—and there are many different styles throughout central Texas and the Hill Country—stained shutters are an appropriate choice. In a home of contemporary styling, stained shutters provide clean lines that enhance the modern appeal of a room. On the other hand, if your home features more traditional or even colonial styling, then stained shutters are an almost natural and complementary choice. 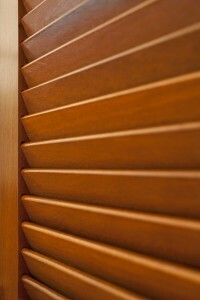 Southern Shutters & Blinds has been custom staining shutters since 1993. 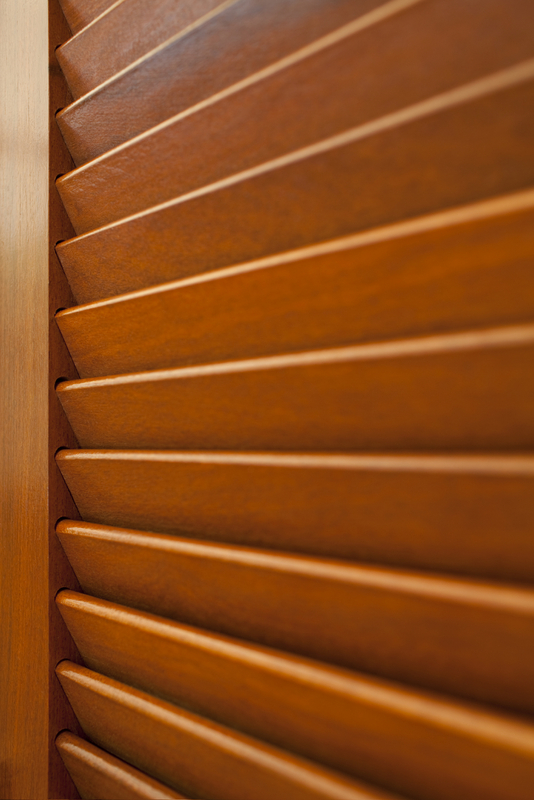 Made from quality basswood, these shutters are custom crafted to fit any size or shape of window. An arched window at the front of your home, a rectangular window in the kitchen or even a round or octagonal window in the bathroom can all be outfitted with a custom stained shutter. Shutters can particularly convenient in a bathroom; designed with a divider rail or in the double hung fashion, homeowners can close these stained shutters along the bottom for privacy while leaving the top open to let in natural light and a view. Other types of window treatments, such as wood blinds or curtains, simply cannot offer such versatility. The professional staff at Southern Shutters & Blinds will come to your home to precisely measure your windows for a perfect fit. We also provide a variety of aesthetic mounts and custom moldings to enhance the appearance of your new shutters and the window. Of course, we offer a wide variety of stain colors, or we can stain your shutters to match an existing trim or frame. Our professional installers will take care of the installation of your new stained shutters. The advantages of stained shutters don’t end with their aesthetic value. They actually have investment value, too. Did you know that the IRS recognizes the installation of shutters as a capital improvement to your home? This can mean tax savings when you want to sell your home. Just keep copies of your purchase receipts for potential tax savings. If you would like to schedule a FREE In-Home Design Session to learn more about what stained shutters from Southern Shutters & Blinds can do for the appearance of your home, then call us. We’ll be happy to come out to your home and show you the wide selection of choices that we offer. Southern Shutters and Blinds proudly serves customers in Georgetown, TX, as well as Austin, Spicewood and Lakeway.